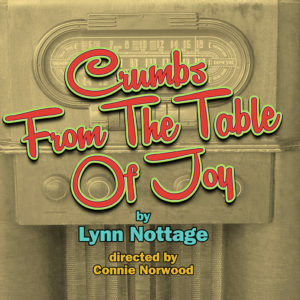 BUY TICKETS FOR CRUMBS FROM THE TABLE OF JOY BY CLICKING THIS LINK. Our 2018 Season — our thirteenth season — is dedicated to work written by amazing women from across the country. We’ll introduce you to two regional premieres, one world premiere and one amazing piece of theatre by playwright Lynn Nottage. “…CRUMBS FROM THE TABLE OF JOY, a complex, thought-provoking play…” — Chicago Sun Times. Recently widowed Godfrey, and his daughters Ernestine and Ermina, move from Florida to Brooklyn for a better life. Not knowing how to parent, Godfrey turns to religion, and especially to Father Divine, for answers. The girls absorb their new surroundings, but not necessarily religion. Lily, Godfrey’s sister-in-law, shows up from Harlem, having promised her sister that if anything ever happened, she’d look out for the girls. Lily, while fascinating to her nieces, stands for everything Godfrey dislikes: communism, sexual freedom and the fight against racial discrimination. “Imagine a pairing…between Tennessee Williams and Lorraine Hansberry, a memory play about a black family, a glass menagerie in the sun…CRUMBS FROM THE TABLE OF JOY [is] a small window into the past, and this almost voyeuristic glimpse is worth your attention.” —NY Post. November 2 – November 18, 2018. Our shows are Fridays and Saturdays at 8:00pm and Sunday matinees at 2:00pm. Purchase tickets online, over the phone or at the box office. 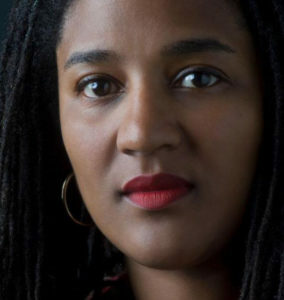 Lynn Nottage is a Pulitzer Prize winning playwright and a screenwriter. Her plays have been produced widely in the United States and throughout the world. 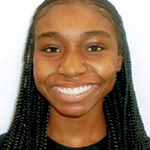 Her most recent play, Mlima’s Tale, premiered at the Public Theater in May 2018. In the spring of 2017, Sweat (Pulitzer Prize, Obie Award, Susan Smith Blackburn Prize, Tony Nomination, Drama Desk Nomination) moved to Broadway after a sold out run at The Public Theater. It premiered and was commissioned by Oregon Shakespeare Festival American Revolutions History Cycle/Arena Stage. Nottage is currently writing the book for the world premiere musical adaptation of Sue Monk Kidd’s novel The Secret Life of Bees, with music by Duncan Sheik and lyrics by Susan Birkenhead. It will premiere at the Atlantic Theatre Company starting on May 10, 2019, directed by Sam Gold. 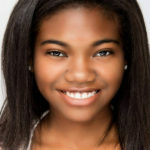 She is the co-founder of the production company, Market Road Films, whose most recent projects include The Notorious Mr. Bout directed by Tony Gerber and Maxim Pozdorovkin (Premiere/Sundance 2014), First to Fall directed by Rachel Beth Anderson (Premiere/ IDFA, 2013) and Remote Control (Premiere/Busan 2013- New Currents Award). Over the years, she has developed original projects for HBO, Sidney Kimmel Entertainment, Showtime, This is That and Harpo. She is writer/producer on the Netflix series She’s Gotta Have It, directed by Spike Lee. 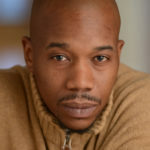 Nottage is the recipient of a MacArthur “Genius Grant” Fellowship, Steinberg “Mimi” Distinguished Playwright Award,PEN/Laura Pels Master Playwright Award, Merit and Literature Award from The Academy of Arts and Letters, Columbia University Provost Grant, Doris Duke Artist Award, The Joyce Foundation Commission Project & Grant, Madge Evans-Sidney Kingsley Award, Nelson A. Rockefeller Award for Creativity, The Dramatists Guild Hull-Warriner Award, the inaugural Horton Foote Prize,Helen Hayes Award, the Lee Reynolds Award, and the Jewish World Watch iWitness Award. 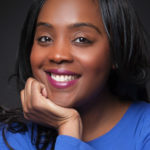 Her other honors include the National Black Theatre Fest’s August Wilson Playwriting Award, a Guggenheim Grant, Lucille Lortel Fellowship and Visiting Research Fellowship at Princeton University. She is a graduate of Brown University and the Yale School of Drama. 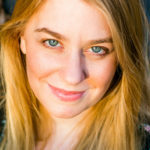 She is also an Associate Professor in the Theatre Department at Columbia School of the Arts.